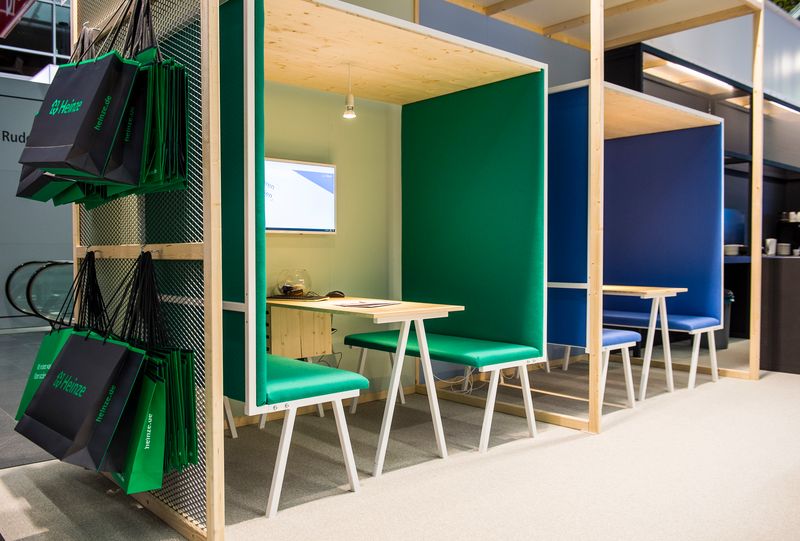 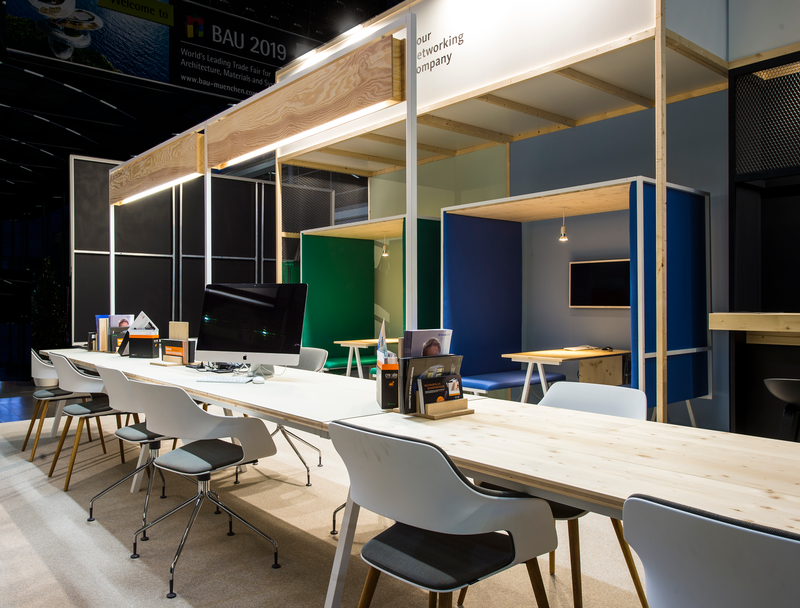 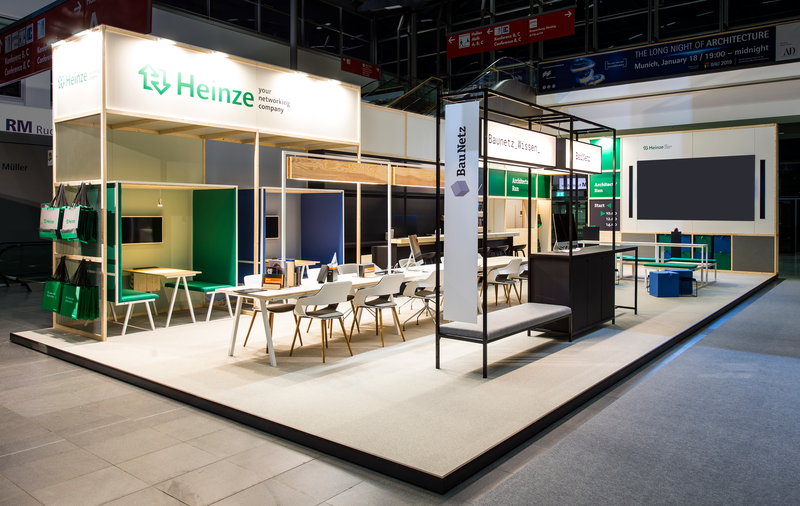 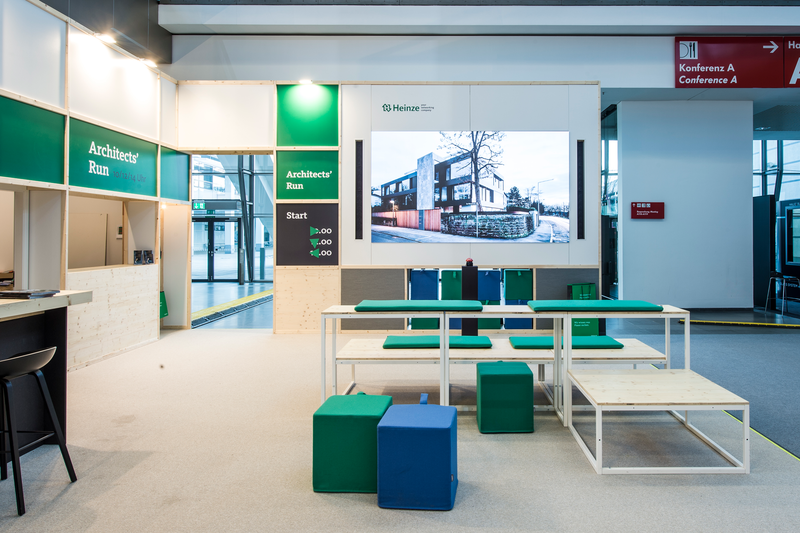 Concept, design and production of a sustainable fair stand for HEINZE, the leading information platform for architectural objects, construction products and company profiles. 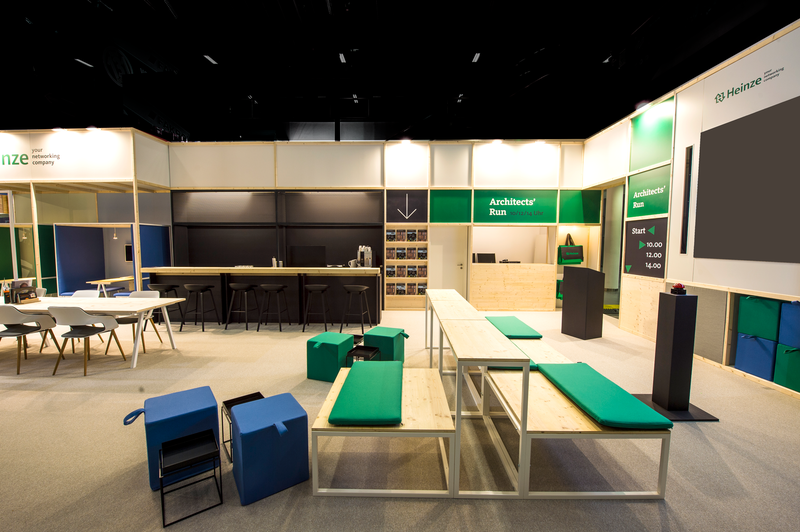 Most of the stand consists of furnitures and elements we designed to be reused in follow up events and upcoming fairs. 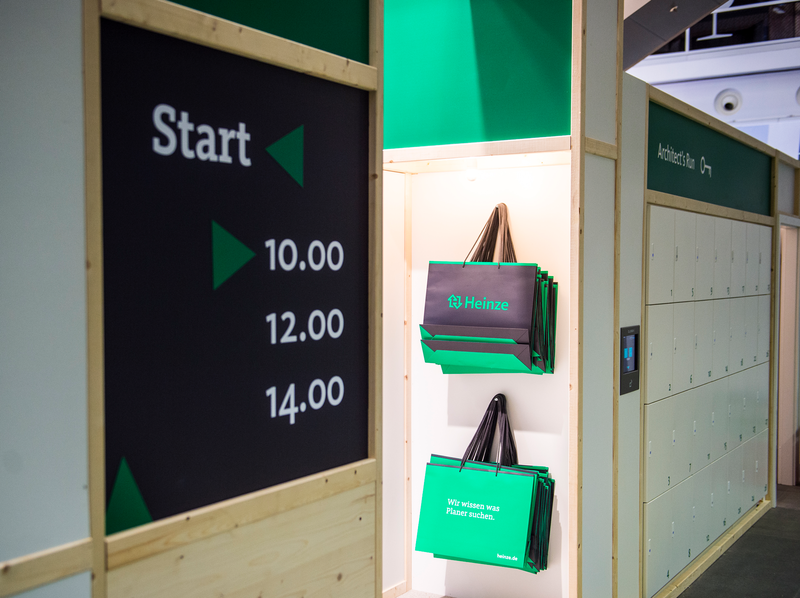 They can be easily set up and then disassambled to a perfect shipping size.